It has been so rainy and cold the past week here in Georgia. I think we completely skipped fall and went straight to winter. I love winter though, not necessarily the bitter cold, but I love the fashion. Boots, leggings, long sweaters - that's all I need. 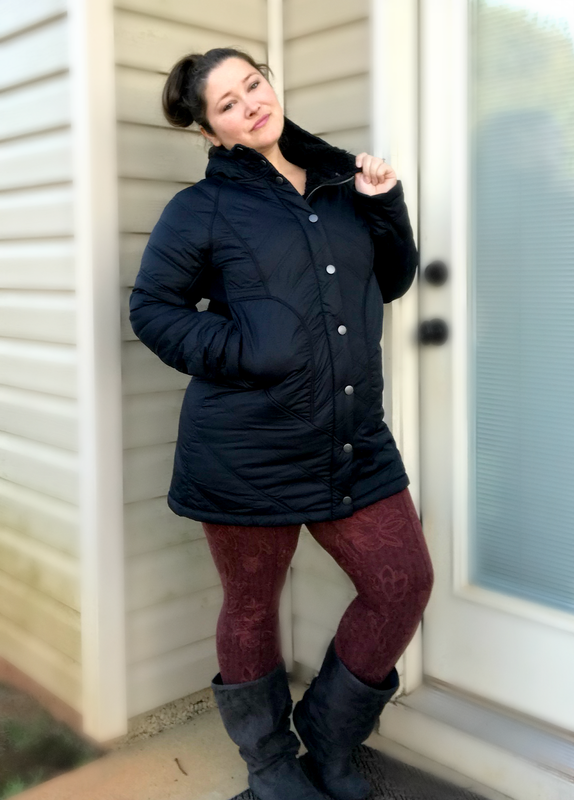 I have been enjoying a new pair of leggings from prAna (my favorite legging store) and a new long coat that is my absolute fave! prAna designs clothes that I can confidently wear all day, no matter what the day brings. prAna is one of those brands that I have loved working with because everything I have received from them has felt amazing on and I love that they make their clothing ethically. 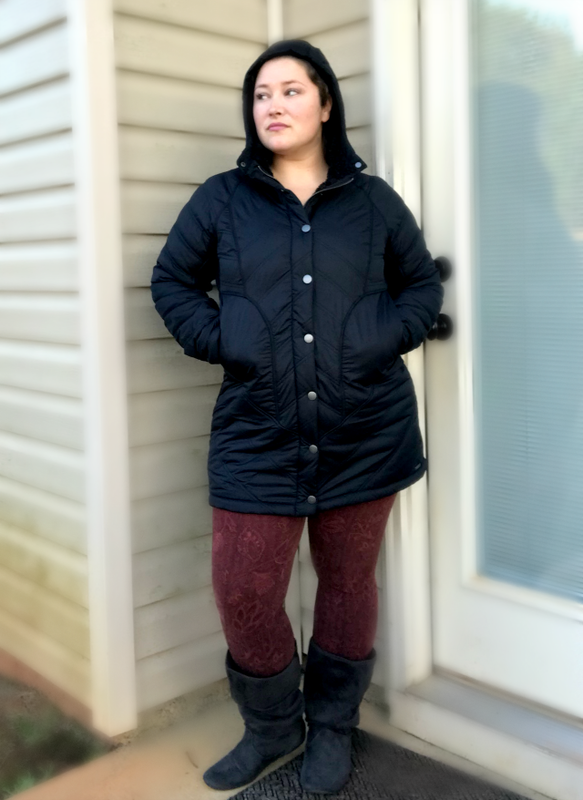 prAna clothing is versatile as well, I have literally wore every piece I own to almost everything I go to whether that's my son's school, cheerleading practice, baseball games, the gym, or even out with friends/the hubby. I like to wear clothing that looks good, but also feels good while wearing it. And these Akiak Leggings fit the bill. The akiak active women's legging (not pictured above) is a high-rise pant (my must have) featuring a wide waistband with a hidden key pocket and a triangle coolmax gusset for added comfort and reinforcement. The fitted legging is cute from a recycled polyester blend. I received them in the bone color design. I loved wearing them my daughter's football games because I still looked cute, had POCKETS which is high priority for me, and I was comfortable. I was also sent the Diva Long Jacket. I have been wearing it non-stop! It is so cozy and keeps me dry too. The diva long jacket for women is made from a bluesign® approved matte polyester shell fabric woven with a PFC-free durable water repellent finish. Lined with a quilted-sherpa interior, this standard fit jacket is styled with long shaping darts and princess seams. My favorite features are an internal hanger loop, rib knit side and underarm panel, 2-way metal center front zipper (since it's long this is a must to make sitting easier, IMO), and zip entry hand warmer pockets. prAna also participates in business with like-minded folks who want to promote conservation and create positive change by making ethical clothing. Sustainable materials like organic cotton, hemp, and recycled poly along with Fair Trade and Renewable Energy initiatives are just a few of the things that prAna supports. Ethically made clothing means they consider the impact of their actions and let their values guide decisions as they make their clothing. Organic cotton is a great example of our efforts to support ethically-made clothing. It drinks less water, uses rainwater more efficiently, eliminates GMOs and harmful chemicals from your closet, and so much more. I love feeling good in what I'm wearing, but also about what I'm wearing. I love knowing that I'm supporting a movement to create change for the better when I buy a higher quality product that I feel great wearing. They also sell jeans to in select sizes. And since I know shopping can be so much more fun when you have a discount code, so as a special gift to my readers, prAna has provided a 15% off discount code. Just use WPNMF18 at check out. Hurry, this code is only available until December 31, 2018. What do you think of prAna? Do you like to purchase more sustainable clothing? Have you ever bought products made with organic cotton before? I received complimentary products to provide this post. All opinions are my own. Make sure to check out my upcoming Holiday Gift Guide where prAna will be featured. The color is a really great shade of blue! It's black actually, the light must have lightened it up a little. I love the red color they have. They also have it in white too. I didn’t either. And I am so happy with this one. They also have some super cute Sherpa pull overs too.